It’s no secret that Red River College, Manitoba’s largest institute of applied learning, exists to educate and train students across Manitoba. Today, RRC celebrates its commitment to creating personal and professional learning opportunities for employees — almost half of whom are alumni themselves — an accomplishment that once again earns the College a spot on Manitoba’s Top Employer list for nine years running. “When it comes to educating students, providing training and research opportunities, and meeting the needs of industry — what we’re doing is working,” says Melanie Gudmundson, RRC’s Chief Human Resource Officer. “And it’s the dedicated efforts of our staff and faculty members who make this statement a reality every day, through their commitment to the College and our students. Learning is a core value at Red River College, which is committed to providing an exceptional learning environment for employees, as well as students. 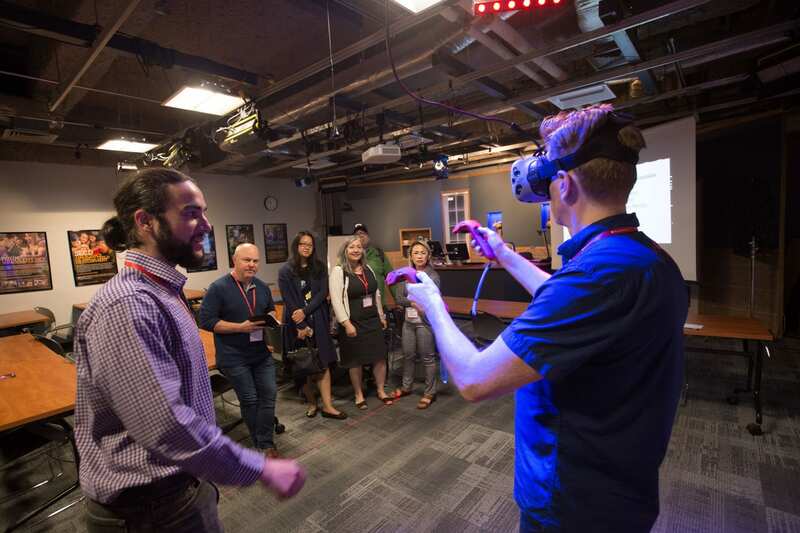 As such, the College focuses on staff learning and development-related activities and events, led by industry experts and members of the larger RRC community. “Every week you will hear of a different department hosting an event. From research lunch and learns, to traditional Sweat Lodge ceremonies, to mental health speaker series, to daily fitness classes — there are countless opportunities for staff to engage in new professional and personal development activities,” says Gudmundson. The College also continues to introduce more formalized internal training opportunities to encourage continuous lifelong learning and professional growth. These include initiatives such as RED Forum, a day-long professional development event for RRC employees from all campuses, and a new online training program, Lynda.com, which provides unlimited access to 6,000-plus videos and courses at the click of a button. Those interested in learning outside of office hours have access to RRC’s School of Continuing Education, which delivers over 100 personal and professional development programs, including full- and part-time certificate programs. All College employees are eligible to enrol, and tuition fees are waived if there is space available in the course. “As a College we are committed to educating the community and we are proud that this includes our very own dedicated staff and faculty members,” says Gudmundson.